Looking at this great country through the lenses of a visitor, a traveller and a connoisseur of that fine herb, we ask again: How much weed can we acquire with an Andrew Jackson note? Life is a celebration of style and diversity. All across the world, we can appreciate the many paths that humanity can take. In one man’s lifetime there is only so much he can experience but undoubtedly so, there are some things he MUST experience. A trip to Brazil, whether it be for business or pleasure, sightseeing or a family visit, is definitely on the bucket list. No place in the world expands the spectrum of lifestyles and life choices such as Brazil. Looking at this great country through the lenses of a visitor, a traveller and a connoisseur of that fine herb, we ask again: How much weed can we acquire with a Thomas Jefferson note? What’s the first thing that comes to your mind when I say Brazil? Carnival and Samba to some, soccer and portugese to others. Wild parties, promiscuous men and beautiful women, crime and every other vice known to man is probably up there on the list too. Taking those notions into consideration we must central our focus on the particular satisfaction which we seek: happiness in a $20 bag of herbal product. Indeed, the party is everywhere you look and on this occasion we are not the exception. Because marijuana is still illegal in Brazil and cops aren’t the friendliest folks if you’re not speaking their language, it is an unfortunate process that we must look to the party happening on the streets to source what we need. Are you a tourist or nah? 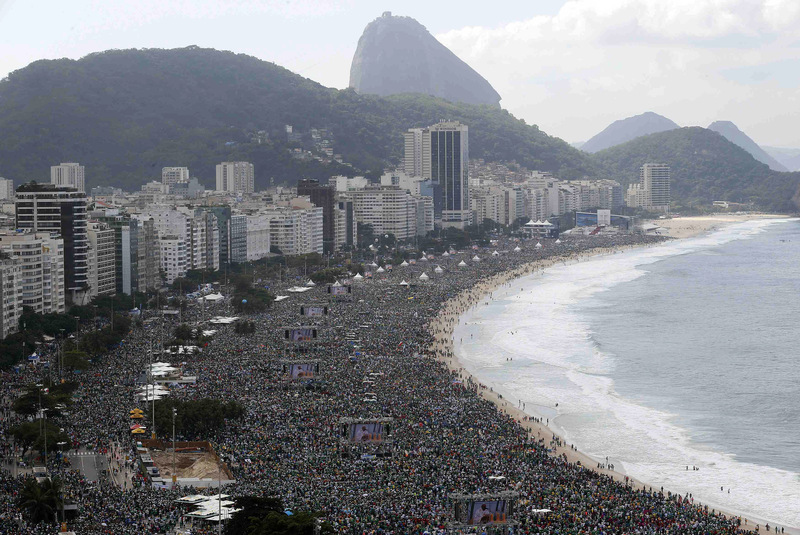 Unless you’ve been to Brazil before or have some friends or trusted contacts waiting for you upon arrival, your status wouldn’t differ very much from the thousands upon thousands crowding the streets shoulder to shoulder as far as the eye can see. Our introduction into this herbal affair began with the golden question: How much weed can we get for $20? Now reason and logic, accompanied by adequate social manoeuvres, must ensue. Before I go any further, please remember oh educated reader: Brazil is a big place with a population exceeding 200 million in total. Time, experience, price and quality will certainly vary from one minute to the next, from Joe to Sally even if they were buying from the same Carlos. So I say, expect to be surprised with the outcome of your own social and communication abilities. Someone’s dub-note might go further than yours and vice versa. And in some neighborhoods, that $20 bill might just disappear into thin air. But I guess trust has to begin somewhere. I sat with a man, a resident of the Sao Paulo area, and raised my question accompanied with clouds of vapor. His answer was pretty blunt: ”It depends where you are but probably you gonna get 25g of pressed weed (at worst), 3g of regular bud or 1g of top strains.” As the cult following on this series grows, I wish to share my gratitude to the reader for the feedback and most of all, for sharing their own experience and knowledge of the ganja acquisition affair. If you live in Brazil or have had an experience in search of that Sweet Sheeba, share it with us on social media or in the comments below.